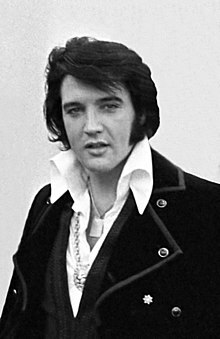 Va Elvis Aaron Presley (8 Jerrey Geuree, 1935 - 16 Luanistyn, 1977) arraneyder Americaanagh. V'eh cloieder myrgeddin. 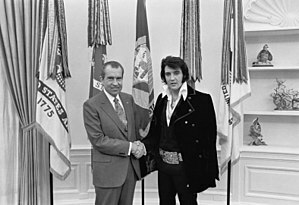 Richard Nixon as Elvis Presley, 1970. Hie yn duillag shoh er ny reaghey er 5 Jerrey Fouyir 2018, ec 08:20.